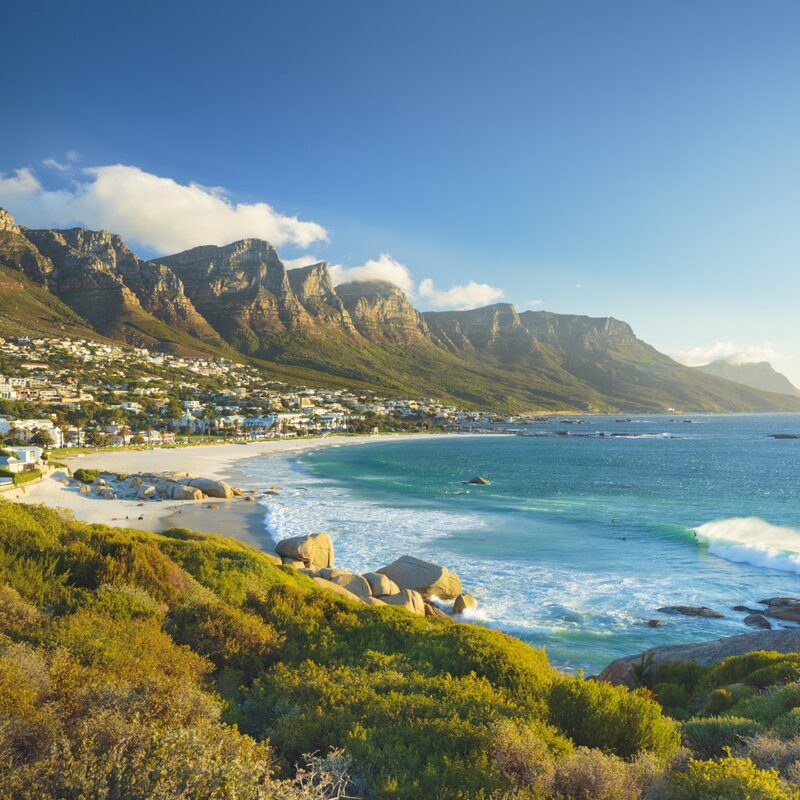 Just when you thought Mexico's palm-lined golden beaches and vibrant cities couldn't get any better, in come these hot new sleeps ready for their close-ups. 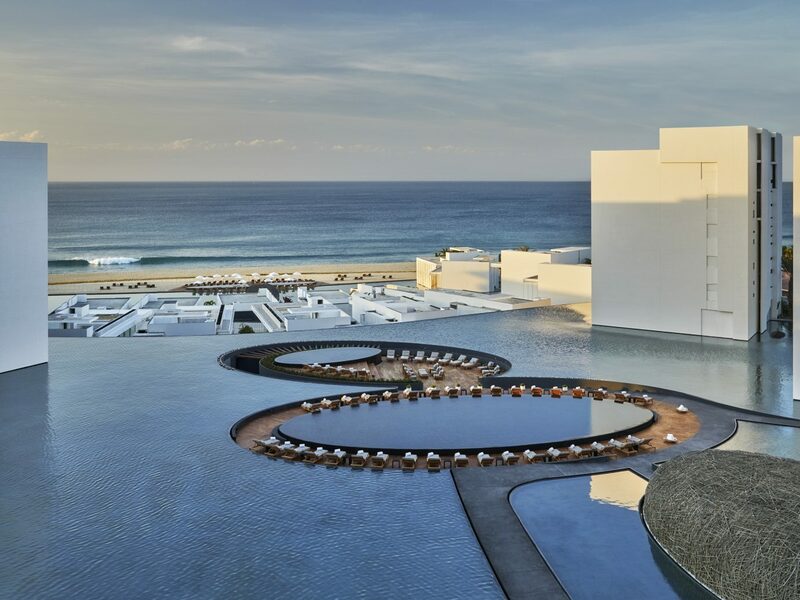 From a Zenned-out ryokan (yes, you read that right) in Mexico City to a futuristic design statement on the tip of Baha California Sur, we're counting the days until we can check into these eight sleeps—the best new hotels in Mexico. 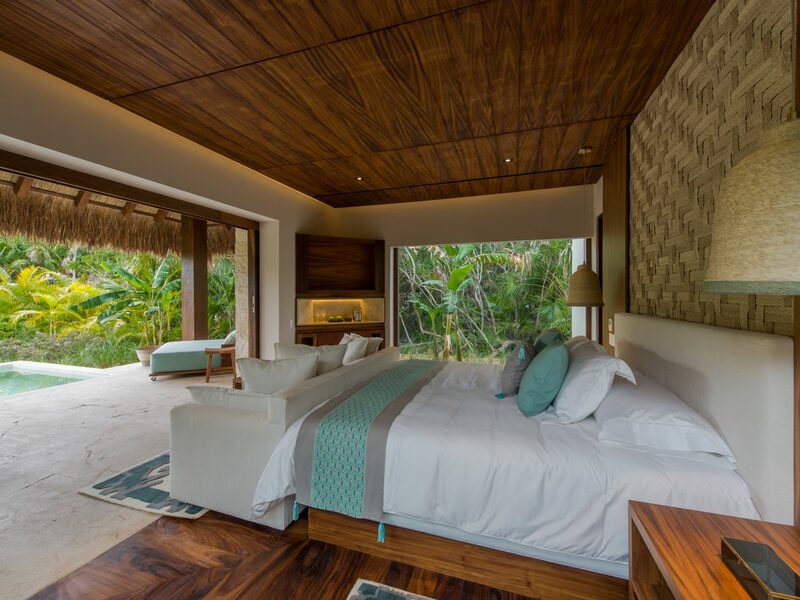 When Mexican hotel brand Hamak debuted Chablé in 2016, it reset the standard for wellness in Mexico: a historic 740-acre hacienda estate, deep in the Mayan jungle of the Yucatan peninsula, was remade as a luxurious spa retreat with all the perks—a wood-lined pool, a destination restaurant, and an outstanding spa whose treatment cabins are built around a cenote. The only thing missing? A beach. 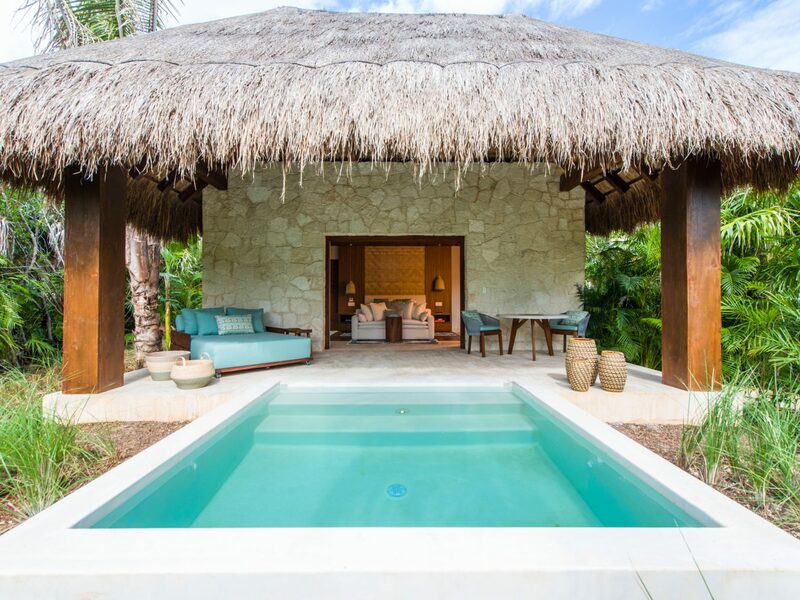 Thus, Chablé Maroma, their next venture, was born: a 70-casita resort on the white sands of the Riviera Maya. 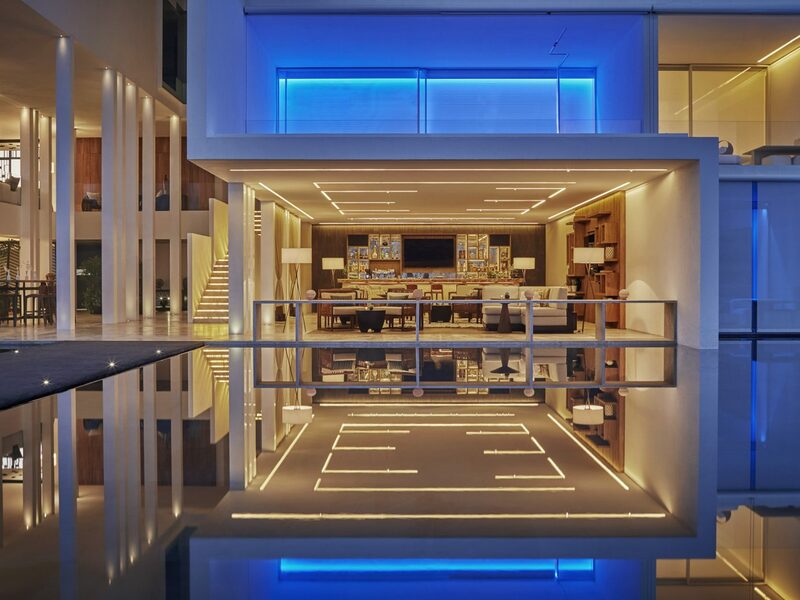 Rooms are sanctuaries in themselves, with their private outdoor pools, terraces, and retractable glass walls that bring the outside in. 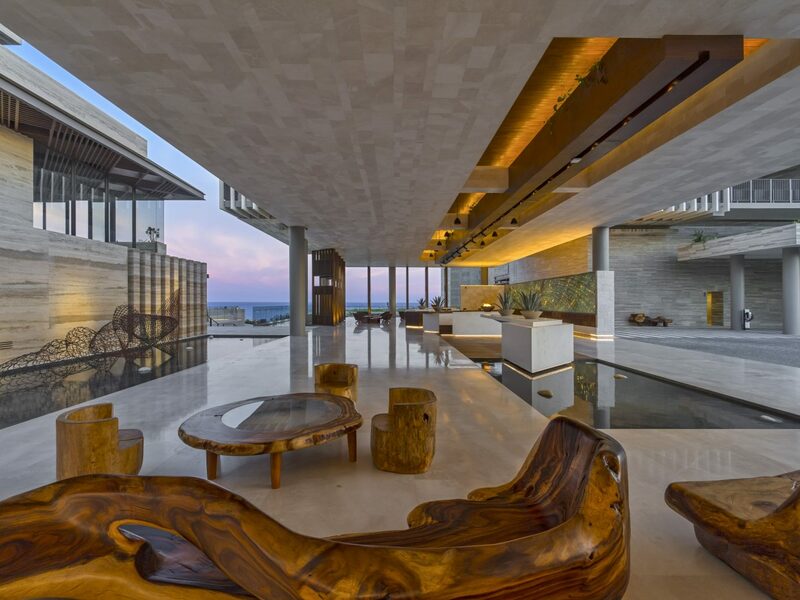 Of course, the 17,000-square-foot spa is impressive, not to mention the three restaurants, yoga pavilion, pool, and cabana-lined private beach, a jumping-off point for kayaking, scuba diving, jungle treks, and more. 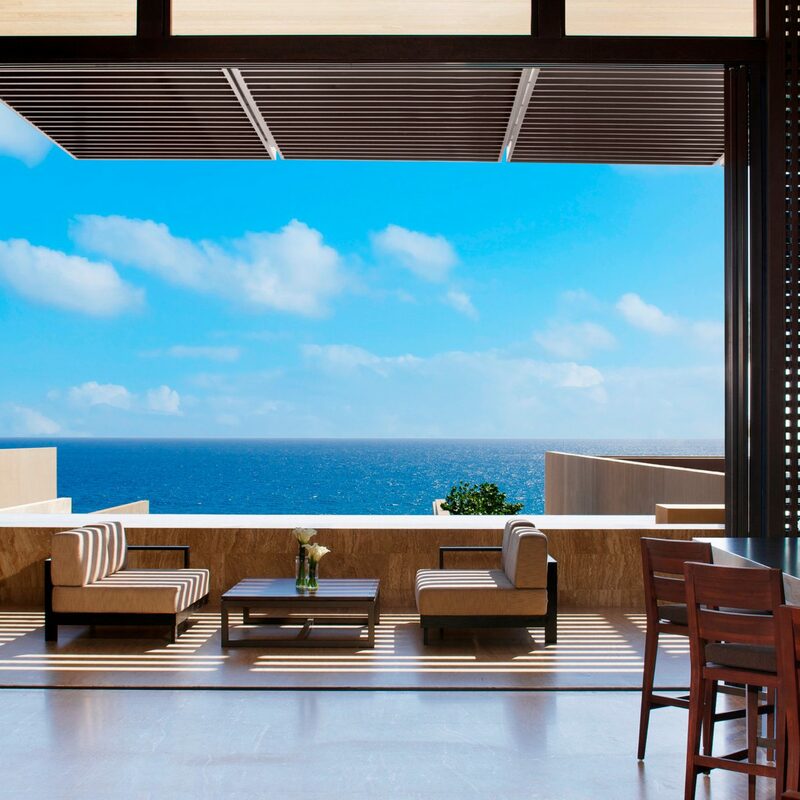 Of all the big-name resorts to hit Los Cabos this year, Solaz is the newest. However, despite its size—128 rooms, six restaurants and lounges, a 12-room spa—everything about Solaz feels thoughtfully authentic. Wherever you look, you’ll find original art by native artist César López Negrete; there’s an indigenous gallery exhibiting artifacts such as maps and whale skeletons; and guest rooms come with their own private entrance and patio or terrace for enjoying the views—be it the sea or surrounding dry jungle, so carefully maintained that only endemic species from the region grow here. 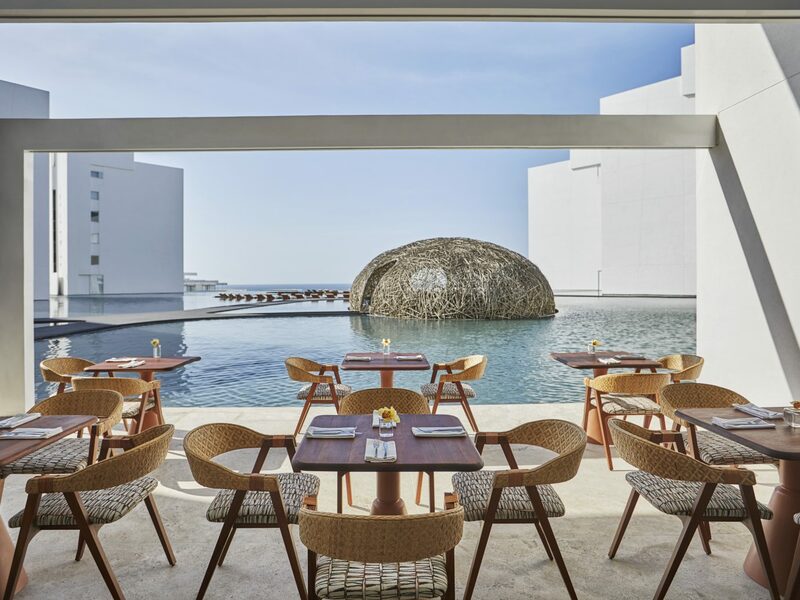 A dip in the 160-foot-long infinity pool overlooking the beach is a must, as is dinner at Mako, the resort’s alfresco poolside restaurant, during sunset. An unofficial Little Tokyo has existed in Mexico City since the 70s, when a Japanese Embassy opening spurred the pop up of various teppanyaki restaurants and Asian grocers. 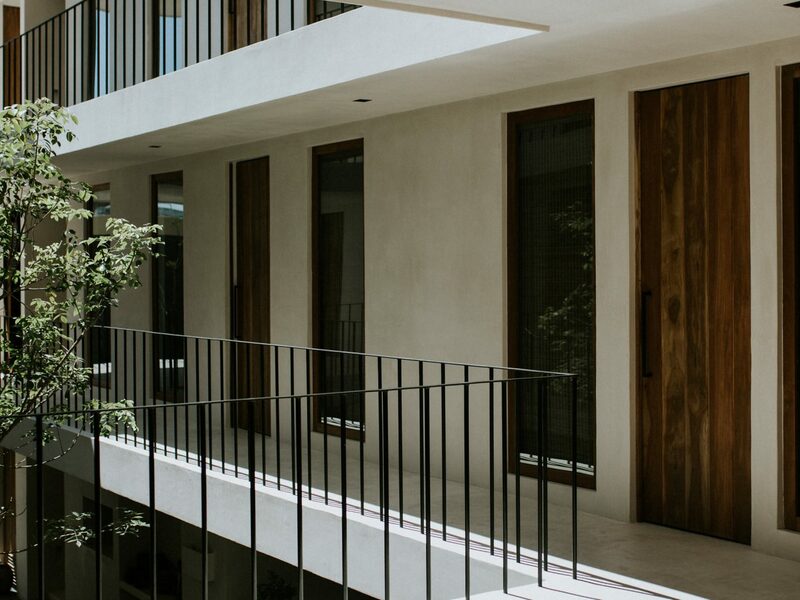 The latest to solidify its presence is Ryo Kan, a 10-room bolt hole dubbed “the first ryokan in Latin America” that truly wouldn’t look out of place in Tokyo. 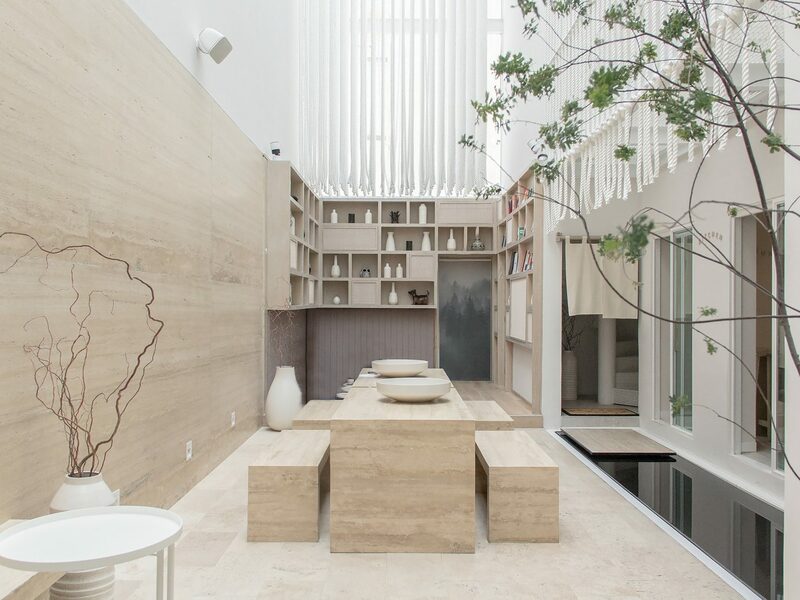 Behind its origami-like all-white façade, you’ll find key elements of Japanese design—fusumas (traditional sliding doors), tatami floors, a central courtyard with a Zen garden and a koi pond—but with a Mexican lean in the form of granite sinks and enamel dishware. 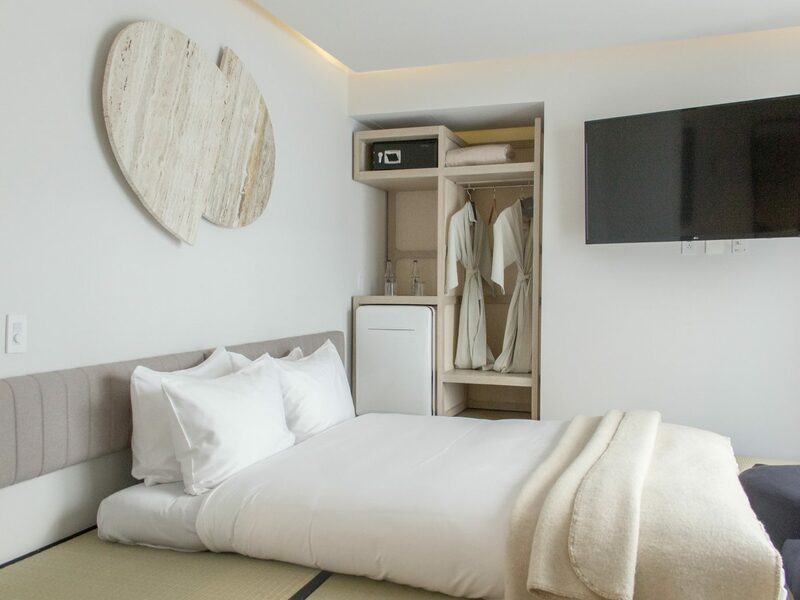 Your room even comes with yukata robes—perfect for bringing up to the rooftop onsen, where four round baths shielded by shoji screens let you soak above the city streets. 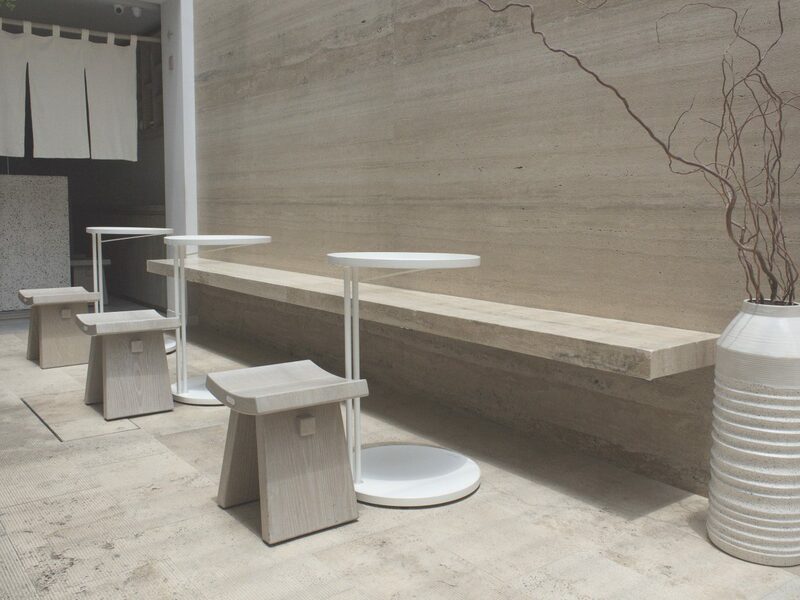 It’s an unexpected oasis unlike anything else in the city. We love Tulum—it’s no secret—and now we have one more reason to return. The 16-room Casa Pueblo is owner Derek Klein’s follow-up to Gitano (a stylish restaurant in the neighborhood), and it’s everything you could want in a bohemian-chic hideaway: minimalist light-filled rooms are studies in texture, from the Parachute Home bed linens to the polished concrete sinks; the in-house restaurant spotlights—what else?—hyper local ingredients; and there’s even a garden terrace with a saltwater pool for cooling off from the Mexican heat. The place is billed as a gathering place for creatives, and makes easy way of it thanks to its coffee shop pouring local organic brews and yoga and meditation classes. Did we mention rooms start at just $120 a night? 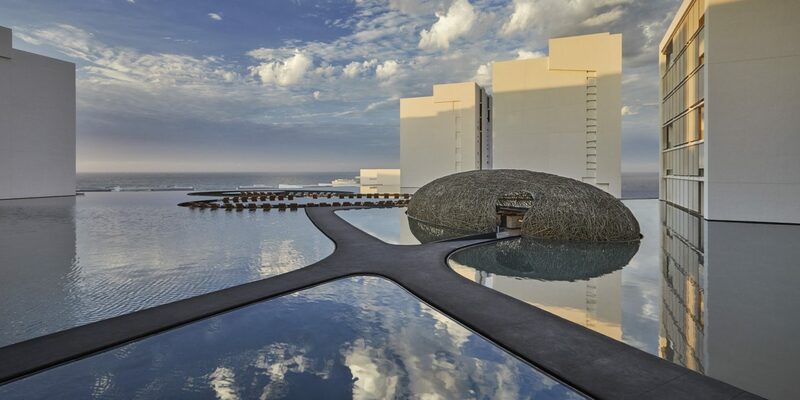 Mar Adentro, that futuristic design hotel in San José del Cabo by Mexican architect Miguel Ángel Aragonés, turned more than a few heads when it opened in 2015—its stark-white angular walls and bird’s-nest-like restaurant, which seem to float in the center reflecting pool, a far departure from anything anyone had ever seen before. This year, it debuts once more, now rebranded as a Viceroy with refreshed rooms and suites, five new-concept restaurants, and an added beachfront pool and bar. 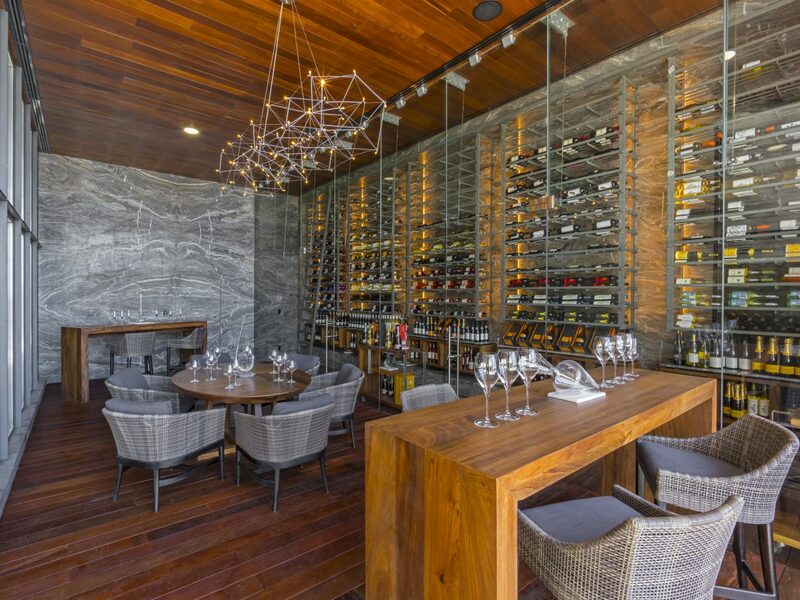 Despite the changed name, however, Aragonés’s original vision remains intact: your eyes are still drawn to the horizon, the sound of running water is ever-present, and ceviche and craft pisco sours are still the orders of the day, all day long. For years, Isla Holbox remained off the radar to all but the most in-the-know and dedicated travelers, who purposely sought out—and went out of their way to reach—this 26-mile remote island miles off the coast of the Yucatán. What land not protected by the boundaries of the ecological preserve is still very much undeveloped: think empty beaches, car-free roads, and palapa-style bungalow hotels. 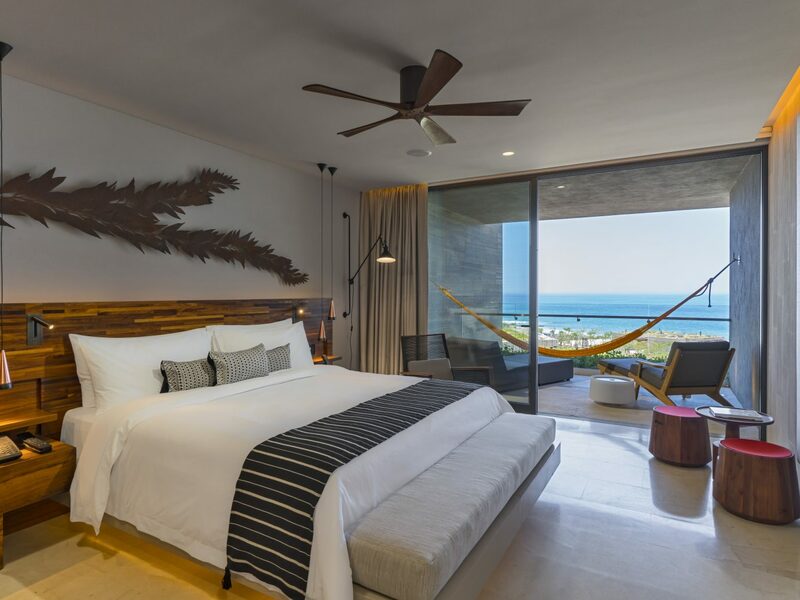 However, those seeking a more luxurious option finally have their wish this year, thanks to the opening of Mystique Blue Boutique Suites—a 38-room hotel with balconies, fast WiFi, and a concierge at the ready to book your favorite adventure, be it kayaking through mangroves, biking to local villages, or swimming with whale sharks offshore. Puerto Vallarta may buckle under the weight of its many flashy resorts today, but that was not always the case. In the 60s, this was an escape for Hollywood’s best—Elizabeth Taylor, Richard Burton—who left behind a bit of glamour after they filmed The Night of the Iguana. 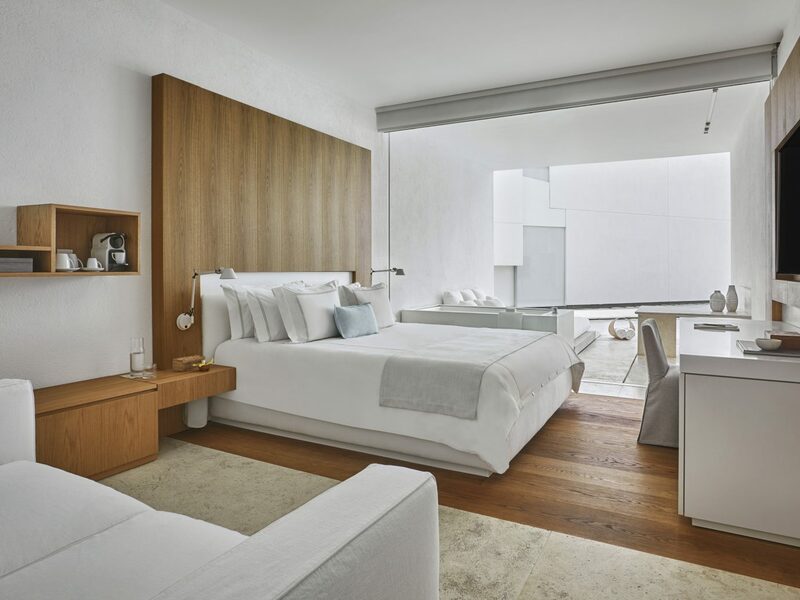 The adults-only Hotel Amapa, a member of Design Hotels, is bringing that allure back when it opens this January in the town’s historic Zona Romantica. 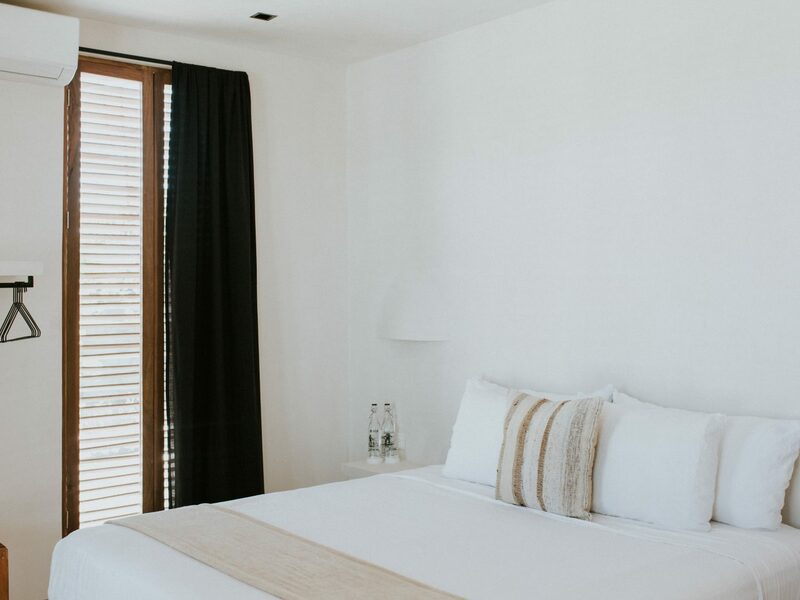 Unlike its neighbors, Amapa fuses Mexican heritage with a minimal, modern edge: guest rooms are dressed in creamy neutrals, balconies overlooking the water, hammocks, and herringbone brick and bespoke ceramics that spotlight Mexican craftsmanship. There’s even a ground-floor café and restaurant which draws in both locals and visitors, though it’s the rooftop pool and bar that makes Amapa truly shine—perhaps the best place in town to take in the sunset, cocktail in hand. 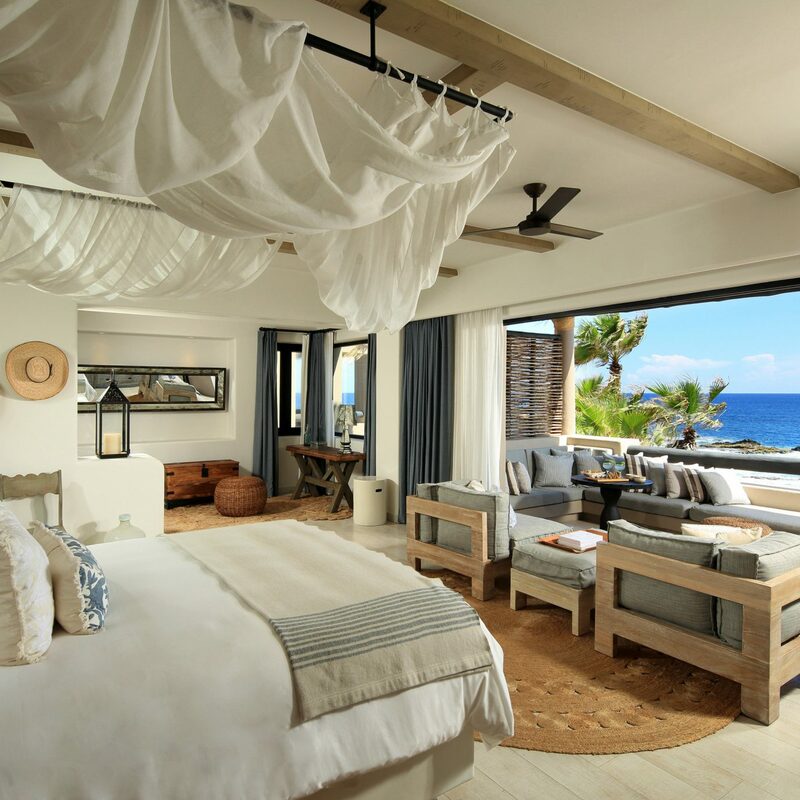 It’s been a long time coming: Zadún, Ritz-Carlton’s fourth Reserve (following Dorado Beach, Phulay Bay, and Mandapa) has announced it is opening its doors in early 2019 on the shores of the Sea of Cortez. 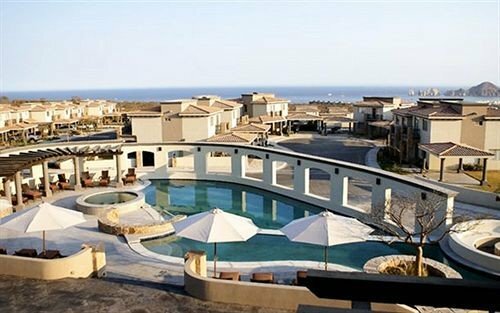 Inspired by the Spanish word for dunes (dunas), Zadún is poised to become one of the area’s most luxurious escapes. 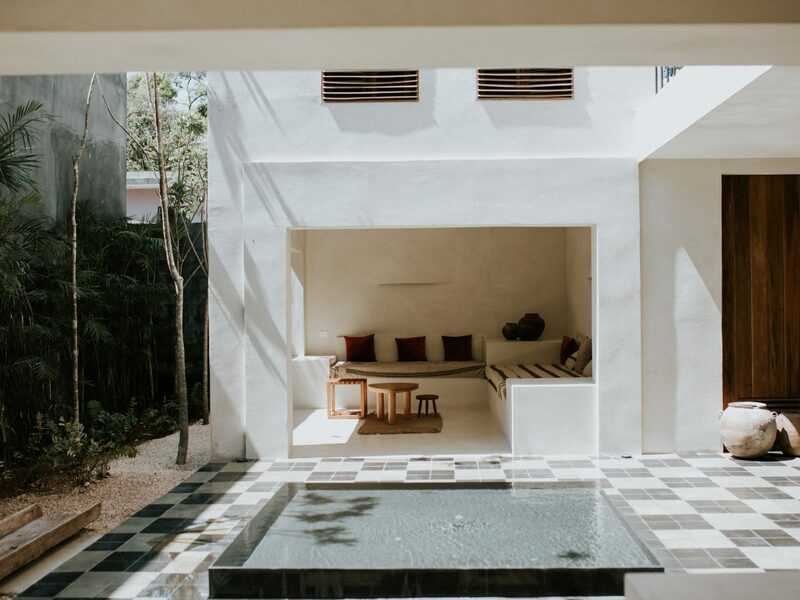 Many of its 115 rooms and villas will have private plunge pools; all will come with butlers and access to the resort’s offerings, including two championship golf courses, a spa, swimming pools, and a “desert botanical park” showcasing local flora.